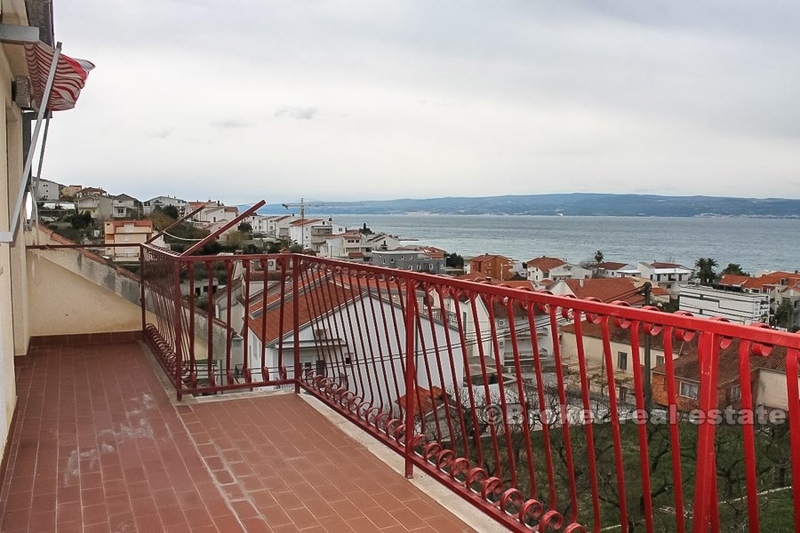 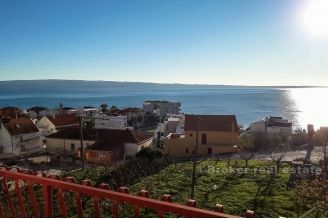 Spacious two bedroom apartment for sale, located on the second floor of a family house with three apartments, near the hotel Lav, in a pleasant and peaceful environment, facing south, with beautiful open sea and islands view. 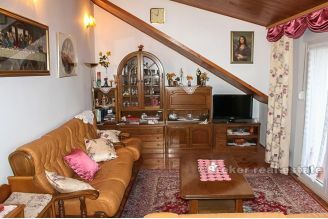 The apartment has a total area of ​​104 m2, of which 90 m2 belongs to the living area, and 14 m2 refers to the balcony. 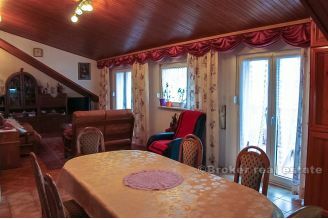 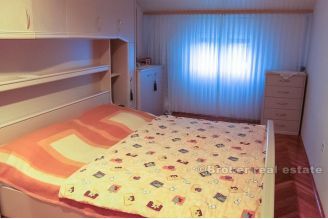 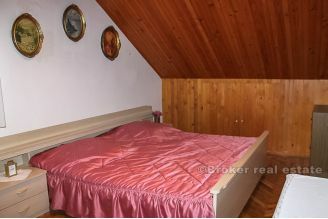 The family house in which the apartment is located is very quality made in the 1990s and is in excellent condition, thanks to detailed everyday maintenance. 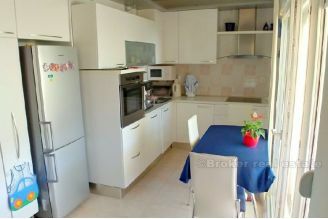 The apartment is conceived in such a way that the main part (living room, kitchen and dining room) is located on the south side, which has access to the balcony, as well as a plenty of daylight, while the rest of the apartment has two spacious bedrooms and a large bathroom with bath tub. 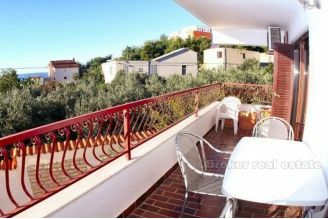 Looking at the micro location, the apartment and the house in which it is located are very well positioned, so the beach is within walking distance from the apartment, the main road is far enough that there is no noise, and in front of the house there is a large orchard that allows a completely undisturbed view of the sea. 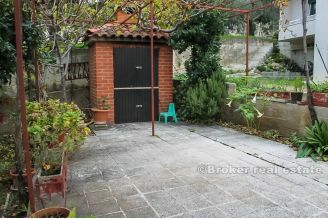 In addition, the price includes a parking space in front of the house, as well as the use of common parts such as a barbecue area. Due to its position or peaceful atmosphere, close to beautiful pebble beaches in the vicinity, as well as Hotel Lav, as the most exclusive hotel on this part of the coast, which offers many additional amenities such as wellness, spa center, gym, swimming pools, tennis courts etc, this apartment represents a high quality investment, either for private use, whether for a tourist rental business. 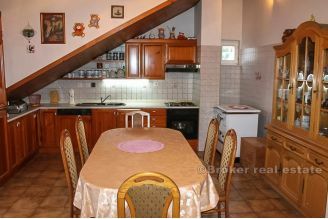 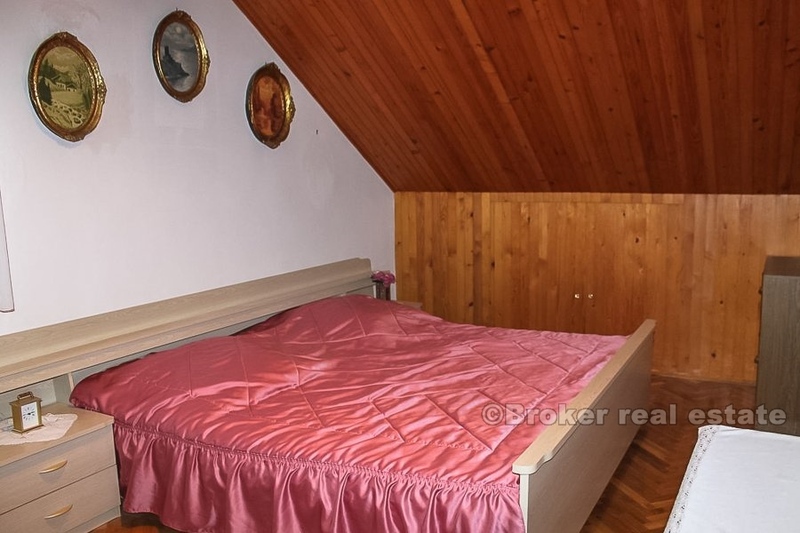 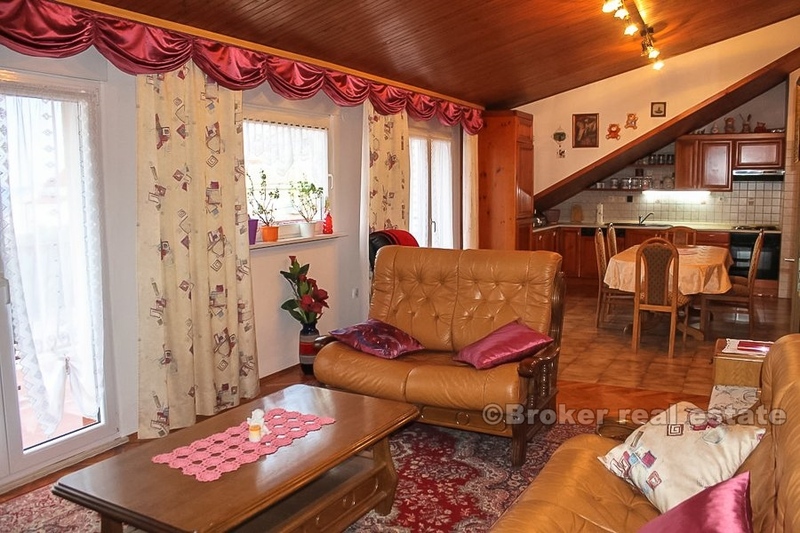 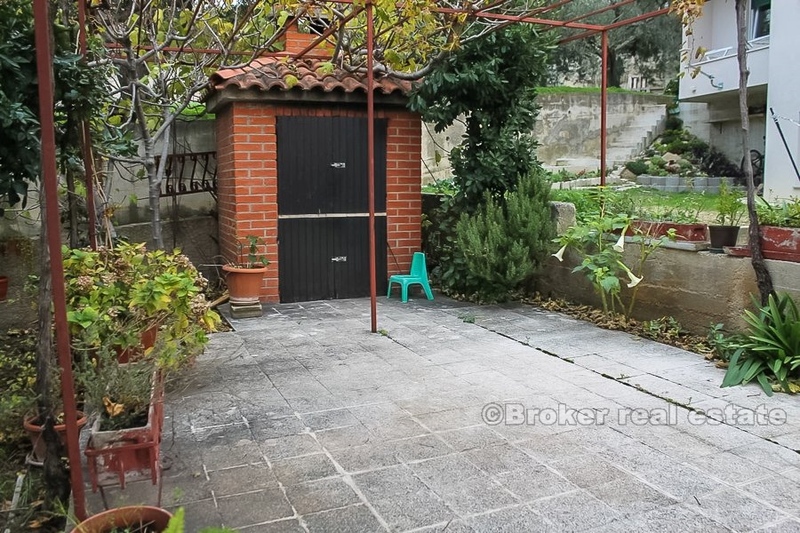 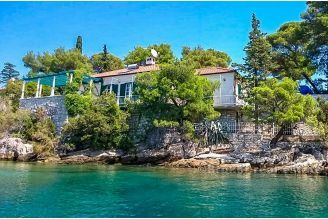 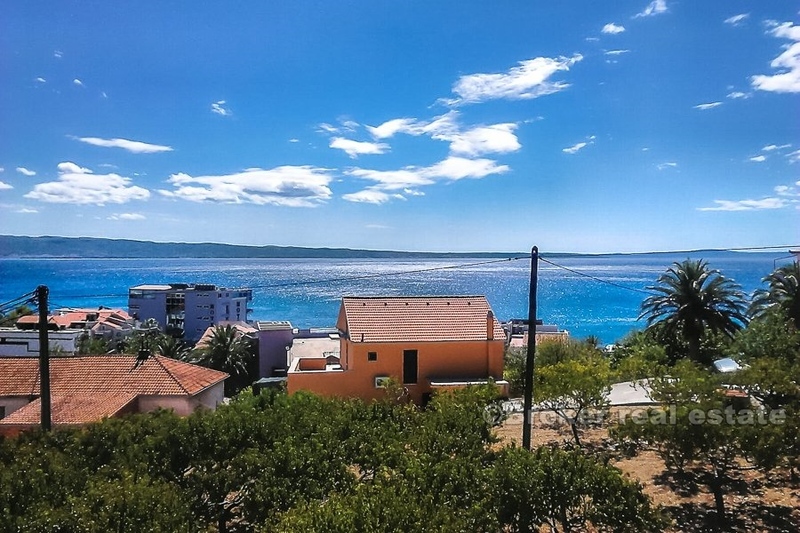 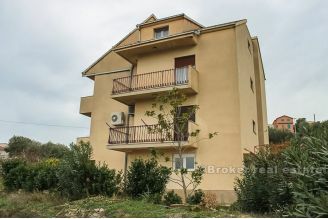 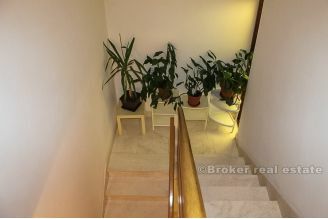 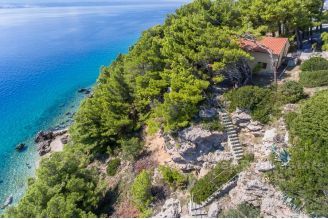 Also, this apartment can be the right solution to the housing problem for the buyers who work for business in Split, and yet they want to keep a more peaceful way of life, since Split is only a few kilometers away. 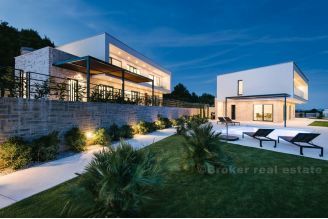 Given the above, this real estate should definitely be seen in person and feel the complete on-site experience for witch a serious customer will easily recognize all the benefits as they are are clearly expressed and easy to notice.